BP says oil demand will peak in the 2030s, and that EVs will rise 100-fold to capture about a third of the car market. BP believes that just about all of the growth in energy demand will come from fast-growing developing economies, with China and India alone accounting for half of the total growth in global energy demand through 2040. BP offered several different forecasts, but all predict a peak in oil demand in the 2030s, with varying degrees of decline thereafter. Its central forecast sees peak oil demand in the mid-2030s at about 110 million barrels per day (mb/d), with consumption plateauing and declining through 2040 and beyond. In other words, demand grows for another two decades, rising by 15 mb/d, before consumption tops out. BP sees the number of EVs on the road surging to 320 million by 2040, capturing about a third of the market in terms of miles traveled. That equates roughly to a 100-fold increase from the 3 million EVs on the road today. It is also sharply up from the 100 million EVs BP expected to be on the road in 2035 in last year’s Energy Outlook. Yet, it doesn’t equate to the total EV revolution that many hope to see. In fact, BP still sees carbon emissions rising by 10 percent through 2040, a scenario incompatible with what scientists say are needed to hit climate targets. And in BP’s most aggressive scenario for EVs in which many more governments follow in the footsteps of France and the UK and put in place a ban on gasoline and diesel vehicles by 2040, BP still only sees EVs eliminating about 10 mb/d worth of demand, which would be about 10 percent of the current market. “It’s a big number,” BP’s chief economist Spencer Dale says, but “even in that scenario, oil demand in 2040 is still higher than it is today.” BP says carbon pricing is needed to drive down emissions. Dale argues that cars will be used more in the future, traveling longer distances, but that autonomous vehicles, electricity and efficiency will offset the increase in oil consumption from more vehicles on the road. “The suggestion that rapid growth in electric cars will cause oil demand to collapse just isn’t supported by the basic numbers — even with really rapid growth,” Dale said, according to the FT.
Dale predicts the average EV in the future will be used to travel about two and a half times more than the current internal combustion vehicle. “What we expect to see in the 2030s is a huge growth in shared mobility autonomous cars...Once you don’t have to pay for a driver, the cost of taking one of those share mobility fleets services will fall by about 40 or 50 percent,” Dale told reporters. The upshot is that demand for crude oil used in cars remains largely flat at 18.6 mb/d in 2040, down just a hair from 18.7 mb/d in 2016. Another interesting prediction was the expected impact of regulations on plastics. BP sees taxes and regulations on things like plastic bags will help eat into crude oil demand by about 2 mb/d. Still, petrochemicals grow in importance over time, taking a greater share of the demand pie as EVs keep demand flat in transportation. The opinions of other oil majors vary on this hotly contested subject. 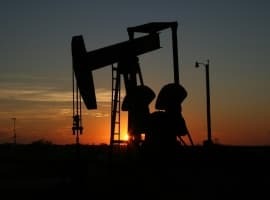 Officials from Royal Dutch Shell have said that a peak could come as soon as 2025, whereas ExxonMobil and Chevron see demand rising steadily for the foreseeable future, with no peak in sight. In that sense, there is a bit of difference between the European and American oil majors. Shell, BP and Total have begun stepping up their investments into natural gas, utilities and renewable energy. Royal Dutch Shell recently bought First Utility, a UK-based utility. It also purchased a U.S. solar company last month. Total purchased SunPower years ago and is now looking to building up generating assets in France to rival incumbents. BP recently announced plans to jump back into the solar sector after pulling out years ago. To be sure, these are marginal forays into clean energy; the majors are still overwhelmingly invested in oil and gas, and will continue to be for years. Yet, they mark a small but significant pivot away from oil. “The outlook here shows that the world is going to need all forms of energy,” BP Chief Executive Bob Dudley said at a news conference Tuesday, according to the WSJ. “Gas has to be part of the transition, if not a destination fuel” for lowering carbon emissions. As I said before, this is a debatable subject with Oil majors giving varying projections on when peak oil demand could be reached and the impact of electric vehicles EVs) on that. Whilst BP and Royal Dutch Shell project oil demand peaking in 2035 and 2025 respectively, ExxonMobil and Chevron see demand rising steadily for the foreseeable future, with no peak in sight. In fact, ExxonMobil projects in its 2017’s “Outlook for Energy: A View to 2040”, that oil will account for 33% of the global primary energy consumption in 2040 as it did in 2016 driven by demand for transport despite rising consumption and production. 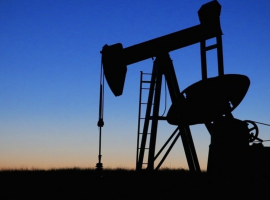 At the rate global oil demand is growing, we could see oil demand hitting 114 mbd by 2030. Still, oil demand growth could be projected to decelerate a bit on the back of efficiency improvements driven by technological developments, a tightening of energy policies and a growing penetration of electric vehicles (EVs). Still, oil demand in 2040 will be higher than it is today. As for EVs, experts were saying that widespread electric vehicle use could spell the end of oil. The tipping point, they reckon, is 50 million electric cars on the roads. This they believe could be reached by 2024. Now BP is projecting 320 EVs by 2040. However, 50 million or 320 EVs on the roads could hardly make a dent on the global demand by then. First BP projected number of EVs is incompatible with their claim that we will see a 10% rise in carbon emissions through 2040. This is despite the improving technology and efficiency of Internal Combustion Engines (ICEs). So something is wrong with BP's projections. Currently, EVs and hybrid cars combined number under 2 million cars out of 1.477 billion ICEs on the roads worldwide in 2015, or a negligible 0.14%.The total number of ICEs is projected to reach 2.0 bn by 2025 rising to 2.79 bn by 2040 according to US Research. In 2017 the world used 36 billion barrels of oil (bb) of which 66% or 24 bb were used to power 1.477 billion ICEs around the world. Bringing 320 million EVs on the roads will reduce the global oil demand by only 5.2 bb, or 6.9% by 2040. This will neither be the peaking of oil demand nor a tipping point. A tipping point for oil could only be reached once 1.4 biion EVs (50% of the projected ICEs in 2040) are on the roads worldwide by 2040. This is impossible to achieve within that time frame. Current worldwide production of EVs doesn’t exceed 500,000 cars annually. So it will take many decades to manufacture 320 million EVs. Moreover, there will be a need for trillions of dollars of investment to expand the global electricity generation capacity in order to accommodate the extra electricity needed to recharge 320 million electric cars. Oil is needed to manufacture electric cars, among others. Most people worldwide not only lack cars (electric or otherwise) but basic needs. All of these basic needs require oil for mining, manufacturing, and shipping. Thus, not only will there be a lack of oil but there won't be enough oil to make things that are supposed to deal with the problem.